This park was built in 1969 with the most modern facilities for the time. Times have changed and so has the ownership. 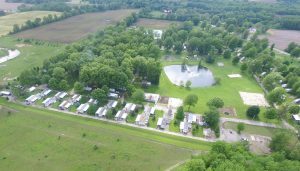 We acquired the park in December 95 and continue modernizing to bring it into the 21st century making it more like a resort than a primitive campground. Featuring such amenities as carded entry and automatic exit gates for security and privacy which affords you a quiet relaxed atmosphere. 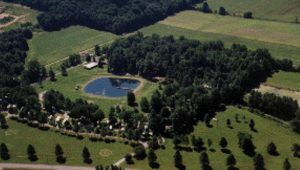 You may choose your own new site, whether it be amid our maple and stately 200 year old oak trees (if you prefer a shady spot) or you may wish partial shade with a water view where you can serenely observe the swans and deer. Sites in full sun look over lush grass lawns and may have a water view. Some elect to look out at a farming field landscape or camp across our animal area.